An automatic sprinkler system is important for maintaining the beauty of your home. If you have invested in landscaping for your home, you need a sprinkler system to help you maintain it. Sprinkler systems can help to save you time and money while also assisting you in conserving water. Sprinkler systems make it much easier to take care of your landscaping because you will never have to worry about monitoring or moving sprinklers. Although the costs of an automatic San Antonio lawn sprinkler system may require an initial investment, over time the sprinkler system will pay for itself by helping you to avoid over-watering your lawn and providing coverage for all areas of your landscaping. 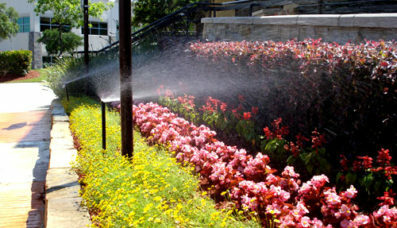 Hand watering your lawn can not provide the efficiency that an irrigation system San Antonio can. A San Antonio sprinkler system is designed to be fully automatic so that you never have to worry about applying water if you are away from home. When you install an irrigation system, you can enjoy plants that live longer and grass that stays greener. 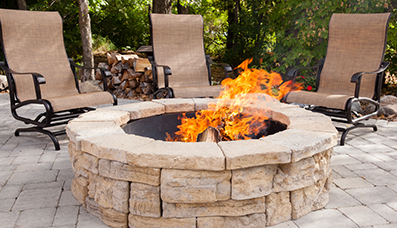 San Antonio homes have attractive landscapes that must be maintained. If you want to ensure that your property’s value is maintained, you need to care for your lawn. A well-maintained landscape with a sprinkler system adds curb appeal to your home, which can help it to be appraised for more. H3O Water Systems provides a full range of services to help you install or maintain a sprinkler system in San Antonio, including design, installation, maintenance checks, service, annual testing, re-routing, and upgrading. 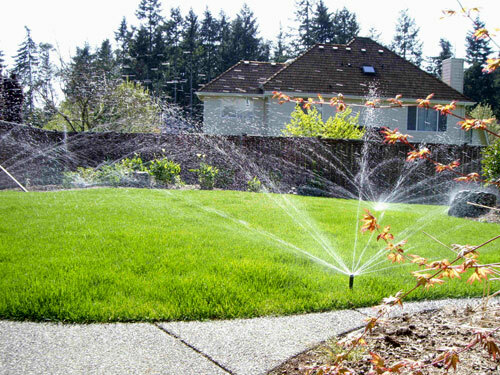 We offer high quality installation services that feature the best irrigation technologies for your needs. If your sprinkler is experiencing leaks, broken valves or clogged nozzles, our repair and maintenance services will get your sprinkler system in San Antonio working again. Serving the Greater San Antonio area since 2006, H3O Water Systems has over 100 years of combined experience in the water industry. If you need assistance with sprinkler systems San Antonio, we can help. Contact us today for a quote or give us a call at (210) 404-9939 for immediate assistance. 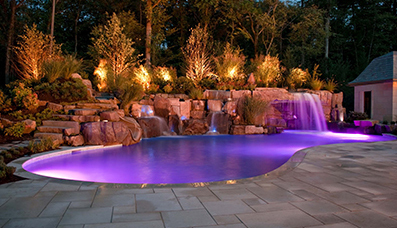 H3O water systems can help you build your perfect backyard. At H3O we specialize in Swimming Pool maintenance, repair and renovation. We specialize in Landscape and Foundation Drip Irrigation.